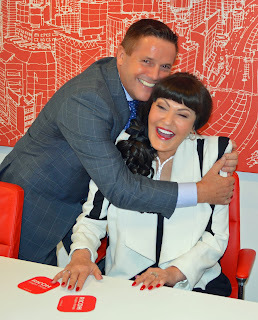 The day I was reunited with 'Secret Millionaire' colleague Hilary Devey! I was reunited with my 'Secret Millionaire' team-mate Hilary Devey CBE. The wonderful Hilary was the star guest at the Cardiff Business Show organised by Introbiz at the Cardiff City Stadium. Here's the press release from the event . . .
Two 'Secret Millionaires' - one of them from Burry Port - were back on stage at the Cardiff Business Show yesterday. 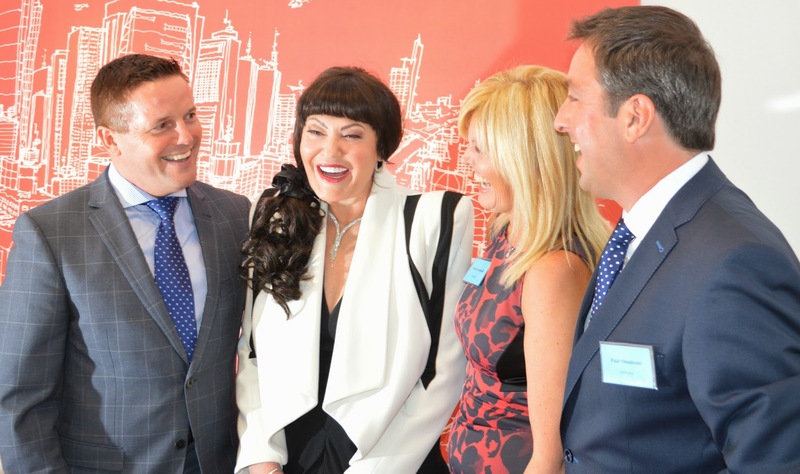 Former Dragons Den star and entrepreneur Hilary Devey CBE joined West Wales social entrepreneur and property expert Kevin Green at the show at the Cardiff City Stadium. "It was great to meet up with Hilary again," said Green, 50. "We both took part in the Secret Millionaire series for Channel 4 and I have since tried to help Hilary with her fund-raising work for the Stroke Association. Ms Devey, a patron of the Stoke Association having suffered a stroke in 2009 which paralysed an arm and partly paralysed a leg, spoke of its devastating effect when she addressed the audience at the business show. "Everyone was moved by Hilary's comments during a very lively question and answer session," said Green. "Sadly, Hilary was unable to attend a gala charity dinner in the evening for the Stroke Association, held at The Vale Resort. "But she sent a video message to the evening dinner guests to explain how she had to rush off to Skipton in Yorkshire to do some filming for a forthcoming Channel 4 programme. "Plainly, Hilary has had to battle hard to combat the stroke and everyone who attended the business show was impressed by her bravery and fortitude in making it to the stage." The business show and the gala charity dinner in the evening were both organised by Tracey and Paul Smolinski, of the Introbiz business network. During her Q and A, Ms Devey revealed that her 'eureka' business moment, which led to her forming her palletised freight distribution business Pallex, came to her on a visit to Wales. "It was in 1996 when the idea developed in my mind, so you can say the embryo was conceived here. Now we have several depots in and around Wales and lot of our work is derived here." Photo 1: Kevin Green gives Hilary Devey a good old-fashioned Welsh 'cwtsh' welcome. Photo 2: Kevin Green, Hilary Devey CBE and Tracey and Paul Smolinski, of the Introbiz business network, share a joke. Photo slideshow from the business show and the gala charity dinner afterwards. Just been sorting out the details of a public speaking engagement next month. It is for the Association of Women in Property (WiP) South Wales branch. Self-made multi-millionaire and social entrepreneur Kevin Green is to be the keynote speaker at a high profile Property Lunch on October 3 in Cardiff at the Parc Thistle Hotel, organised by the Association of Women in Property (WiP) South Wales branch.The lunch is one of a number of different events organised by WiP, that include site visits, professional development workshops and business and social networking events. Living in Burry Port, Kevin is one of the UK’s largest residential property landlords and a multi-business owner. The 50-year-old dyslexic was homeless in 1984. He bought his first house in late 2000. Today, his property portfolio runs into the hundreds and he is the UK's second largest private sector landlord. He has a wealth of experience in the property investment world and heads a number of successful companies and other non-property related businesses. He is also involved in coaching under his own brand of Kevin Green Wealth (KGW) and is a ‘Big Ideas’ role model for the Welsh Government, inspiring young people in schools and universities to set up businesses. These qualities have catapulted him into worldwide demand as a speaker at conferences, dinners and seminars. He has spoken to major events in Australia, New Zealand, the United States of America, Spain, Dubai, Malaysia, Singapore and Germany. He has helped launched the new Entrepreneurship Academy Wales for the business leaders of the future. He is also an ambassador for the Make a Wish foundation. To book tickets for the event please contact info@tobiadesign.com. Tickets are £30 for WIP members and £35 for non-members. Back in the groove . . . I'm back in the groove very quickly today. On my way to Wiltshire shortly for the Wiltshire Property & Entrepreneurial Network (PEN) meeting. There's a big 'United Kingdom' feel to the gig tonight as I will be sharing the stage with John Dallas and Heather Mortimer. After a career in the Army and later in International Marketing, John took his first property course in Aberdeen in 2000, with three properties in his portfolio. Over the next five years, John went on to become a trainer and property mentor (coach). Based on his experience, in both the commercial and development sectors of the property market he co-wrote several advanced training programmes. In 2008 he was diagnosed with Bowel Cancer and during the early treatment was over dosed with radiation. His latest challenge (in late 2012) was renal failure which has resulted in him attending dialysis three days a week. However, given his challenges he finds time to support Scottish Property Sourcing, from behind his computer, where most if not all of our property sourcing research is done. Heather Mortimer is an award-winning businesswoman, successful entrepreneur and property investor, with more than 20 years’ experience as a market trader in Glasgow. As an active member of both the National Landlords Association and the Scottish Association, her finger is always on the pulse of ever changing regulation. Most recently, Heather has been assisting new landlords pointing them to the appropriate professionals and sign posting them BTL investment opportunities. In 2010 she started to devote time and energy working with Glasgow District Council and various local housing associations including shelter. Developing a housing strategy ideally suited to Central Scotland. In August 2012 she opened the Queens Park Business Centre locating her second N&L Properties office there (N&L South Side) 12 months ahead of plan. Now with seven staff and almost 300 properties on the books, the time was right for a new challenge. Last summer Heather was approached by a Scottish businessman working in Africa if she could take on a small project and source three properties for him. The success of the project and her ability to build trust and confidence via the phone and internet (the African investor never saw the properties) led to the trial of a unique sourcing experience, Scottish Property Sourcing. There was a lovely 'welcome back' waiting for me in Burry Port after my trip to Hong Kong to celebrate my 50th birthday. Team Green staff members and family had some lovely cards waiting for me! A big thank-you goes to everyone who sent me birthday wishes on the occasion of my big Five-O! I celebrated with a week in the wonderful city of Hong Kong. Met a few characters, including this bird! Unfortunately, I couldn't bring her home! Thanks to the miracles of modern technology, this is being written from the airport lounge. I am waiting for my 'flatbed' seat for the marathon 11-hour journey home. Time to get some 'Zeds' in and some well-deserved sleep. This week is going to be mega-busy. I have a speaking engagement in Wiltshire tomorrow, a Shelter Cymru conference midweek, the Cardiff Business Show on Thursday, a speaking gig with Dragons' Den star Hilary Devey on Thursday evening and the Swansea Bay Volunteer Awards on Friday night. Oh . . . and I'll try and fit a bit of business in between! Once again, many thanks to everyone for their birthday wishes. The countdown is well and truly on to a special event involving Hilary Devey, of the Dragons' Den, in Cardiff this month. Come and join us at the social event of the year, following the Introbiz Business Show. Last chance to buy your tickets for this 5 star studded event! What a great opportunity to bring your business partners, clients, staff or associates to this event. Come and network with entrepreneurs, sporting celebrities, Welsh Lions players and the Football Association of Wales football players. Also the creative director of GQ Magazine will be there and also photos of this event are going into the OK Magazine. Also coverage and photos in City Life, Vale Life magazines and other publications. Celebrity Red Carpet Black Tie Charity Dinner with Hilary Devey, CBE Patron of the Stroke Association, “Secret Millionaire” Kevin Green and international speaker/author Daniel Priestley. This event is Sponsored by Asset Assured. The charity fund-raising 5 star evening and Red Carpet Event is going to be the social event of the year in South Wales 2013 and the Charity Dinner is being hosted by Introbiz and Hilary Devey, patron of the Stroke Association and all funds raised through the event will go to the Stroke Association. Our Celebrity Fundraising Dinner is on the evening of September 26th 2013, the evening of our Introbiz Business Show. The Charity Evening begins at 7pm with a Champagne Reception. The venue for our Celebrity Charity Dinner is the Vale Hotel and Resort in Hensol. The entertainment for the evening is fantastic. Firstly you will be serenaded by Jaz Ellington, runner up from BBC1's "The Voice" 2012, where he famously brought Jessie J and Will I am to tears with his rendition of "Ordinary People". Then we have James Williams. Smooth singing Welsh sensation James has been highly acclaimed throughout the UK, wowing audiences at top venues both sides of the bridge. He is also making his mark as a songwriter and is currently working on his first album. Stifyn's career has been varied to say the least! He appeared in the headlines and on The 9 o'Clock News when his Brookside character, Christopher Duncan, was part of the first gay kiss to be broadcast on British television. Following his time on Brookside, he went on to play the lead role of Marius in the West End production of Les Miserables for 2 years. Stifyn has presented numerous series' for BBC, ITV, S4/C and Channel 4, and has performed in theatres across Wales and in the West End. I'm looking forward to making special visit to Thatcham in Berkshire on Friday to give a talk to some special children and young people. The event has been arranged by my friend Fiona Matthews. On Friday 13th September 2013 Kevin Green, star of Channel 4’s ‘Secret Millionaire’, will come to Thatcham to give a talk to Children 1st West Berkshire and young people in the area, including local school students, about his life story and his path to success. He will then visit Cornerstone, the house rented by Children 1st West Berkshire for the young people the charity supports and will mentor the residents. Chris Rowell, one of Kevin’s top coaches at Kevin Green Wealth, will also be visiting and will mentor the staff and Trustees of the charity on good business practice. Kevin was a dairy farmer in Wales who, following the death of his sister from Lupus aged 20, wanted to make more of his life. In 1999 he won a scholarship to travel the world to interview champions of industry, including Sir Richard Branson and Bill Gates, to ascertain what the difference in their mindset is that makes them successful. Following this he decided to go into property and, having bought his first house in 1999, he is now one of the UK’s largest private landlords - his property portfolio runs into the hundreds (647 houses, at the last count!) - a social entrepreneur and a self-made multi-millionaire. The 49-year-old dyslexic was homeless in 1984. He is a Big Ideas Wales role model for the Welsh Government and helps inspire young people in schools and universities on how to start a business. Kevin loves to keep fit by water skiing, walking and running. He ran the London Marathon in 2010 raising money for Amber Foundation (reform centre for young offenders). His ‘can do’ qualities have catapulted him into worldwide demand as a speaker at conferences, dinners and seminars. Kevin has travelled throughout the UK, Asia, Australia and New Zealand in the past year and has shared the stage with Sir Richard Branson and former United States president Bill Clinton. Kevin is a regular commentator on property and business ideas for a cross-section of UK and international media outlets, in print, on TV, on radio and online. Kevin is an ambassador for the Make-A-Wish Foundation and has personally contributed more than £300,000. He is a Patron of The Ray Gravell and Friends Charitable Trust and a member of The Professional Speaking Association. 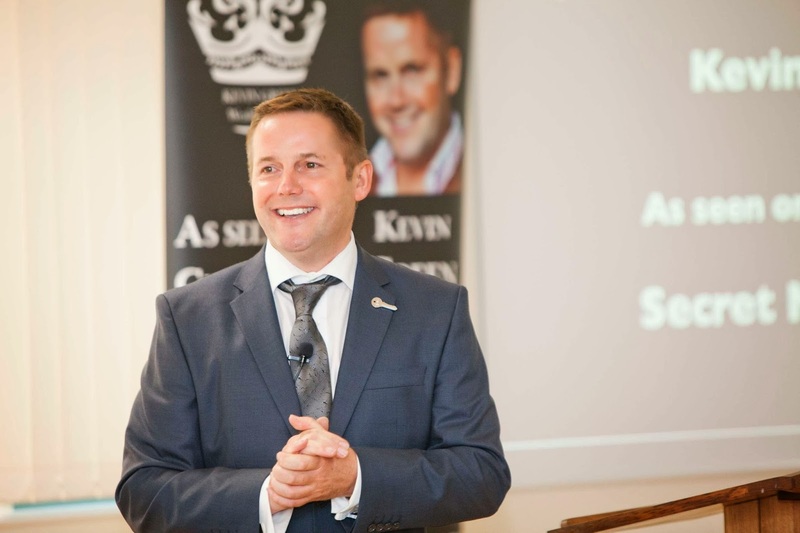 Kevin loves to educate, motivate and inspire others on how to start in business, how to make money fast and how to become rich and his passion and enthusiasm is quite infectious. His down to earth approach is often referred to by those who know him as ‘exactly what it says on the tin’. More information about Kevin and Chris can be found at www.kevingreen.co.uk and www.chris-rowell.com. Children 1st West Berkshire are extremely excited that we have this wonderful opportunity and very grateful to Kevin and Chris for agreeing to visit us. 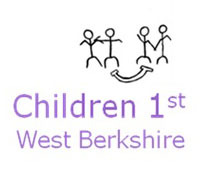 Children 1st West Berkshire charity was started in 2008 for the benefit of children and young adults who are or have been in care in West Berkshire. Its purpose is not just to keep them safe and healthy; its ambition, and we are determined to fulfil it, is for them to be happy, to achieve by developing their own potential and become complete and rounded human beings who are a full part of society. This is our goal for each and every child we support. Children in care need all help possible to overcome their difficulties, to help them on the road to health, happiness and success and enable them to have a good and promising future. · encourage aspirations among young people in care. · treat each child as a unique individual. · give practical support and ongoing emotional and psychological support to help them achieve their ambitions. · ensure that each child's specific and specialised needs are properly met. · do all that we can so they will flourish rather than fail. · provide support and activities which develop their skills, capacities and capabilities to enable them to participate in society as mature and responsible individuals. Stability is the foundation for any child's development and yet the experience for many children is one of instability and unpredictable change. Some see as many as 30 social workers or go through 9 or 10 care placements within a few years. As a consequence of all this many of those leaving the care system are uneducated, untrained, unqualified and unable effectively to equip themselves to contribute to their own personal fulfilment. There is poor preparation for leaving care and too many children leaving care inappropriately and have a lack of suitable accommodation when they do. They do not have the skills, personal responsibility or discipline to be able to cope with living independently. CFWB rents Cornerstone, a five bedroom house in Thatcham, from the Greenham Trust and has five residents sharing it, one of which is a ‘carer’ figure. Each of the residents is also allocated a Trustee who they can talk to, ask for advice and turn to for help. Children First West Berkshire aims to have more houses to help more children leaving care. I have just been picked as the keynote speaker for the Property Investors Federation Conference in New Zealand next October. It isn't the first time for me to speak in New Zealand, but I'm looking forward to it as it is such a great country with such wonderful aspirational people. The event will be in Canterbury. Like father, like son . . . It must be something in the genes! My son Carwyn has his sights firmly set on the world of business. At 17, he has just ordered a tow bar for his car and business cards for his Green's Services lawn mowing and garden maintenance start-up. And not content with starting up one business, he has his eyes firmly set on Business No2. 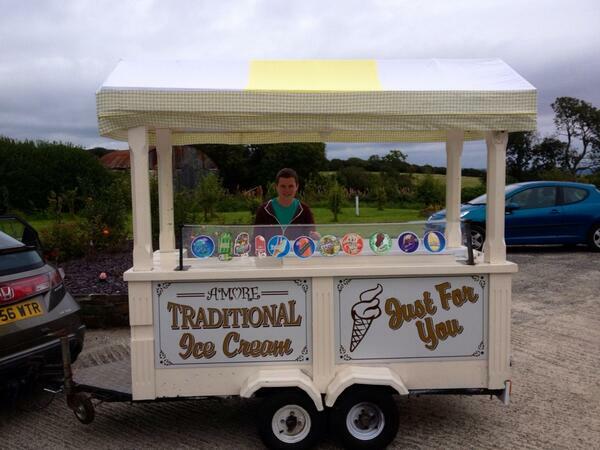 Carwyn is planning a new venture selling ice-cream. He's doing most of the work himself, but I did give him a small hand this week in picking up this ice cream stall from Leeds. The 'winter project' will be refurbishing the stall ready for the next summer season. All the family are backing Carwyn to make a success of both businesses. I had a fabulous time in The Netherlands as one of the guest speakers at a major personal development seminar. 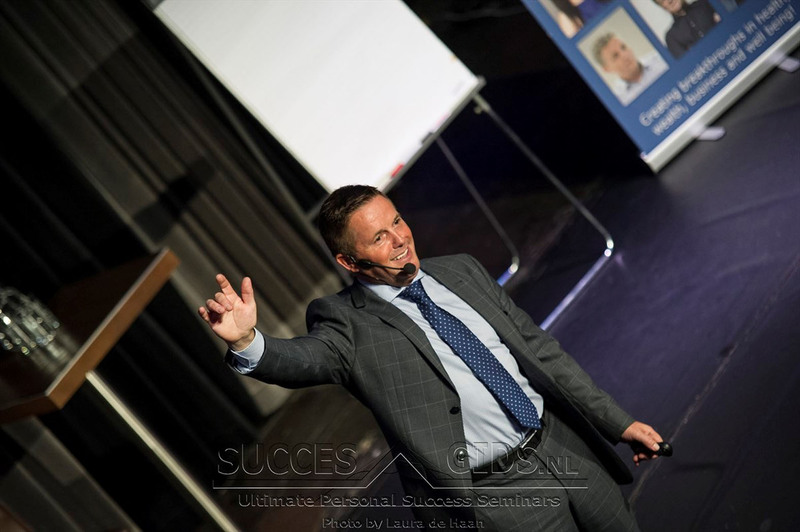 'Weekend with the Masters' was a two-day seminar organised by my good friend Arnout Van Der Swaluw (pictured below), owner at Succesgids (Success Guides) and promoter of high level business and personal development seminars. It took place on Saturday and Sunday (September 7 and 8) at the Claus Event Center in Hoofddorp, which is close to Amsterdam's Schiphol airport. Other speakers at the event included André Kuipers, the first Dutchman in space, with two astronaut missions under his belt; Netherlands TV presenter Vivian Reijs; Marcus de Maria, a respected trainer in the field of welfare and investment, and internet expert Eelco de Boer. I was speaking to some of my favourite themes - repossession rescue, repairing credit history and how to set up a business. The feedback was great and I was voted the best speaker of the first day of the seminar. In fact, it was so successful that the Kevin Green Wealth team will be going back to help train 29 delegates from the seminar. 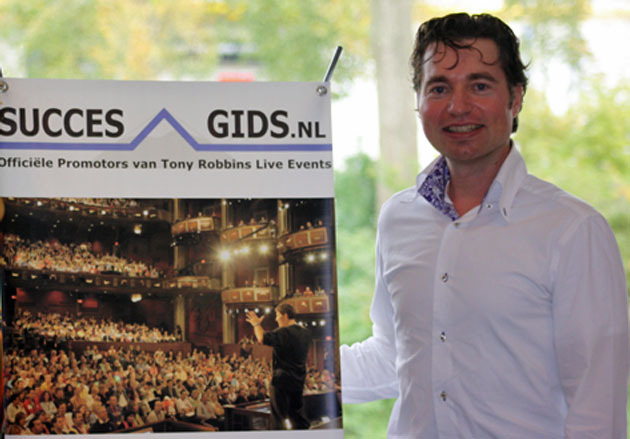 We will be staging a three-day property and business success training seminar in Amsterdam on November 8, 9 and 10. The aim will be to help delegates achieve significant profits - and to have fun on the way! The delegates represent various business sectors and each person will have quality time with my team. We will assess their personality type, their hobbies and their skillsets and match businesses to the appropriate experts who can help them improve their skills and businesses. The delegates are from all backgrounds - a third are couples seeking to improve their business skills. Some of the delegates want to improve the existing structure of their business, some want to open an additional business and anotherr third of the group are currently in employment but want to set up their own business for their future financial security. I will be presenting for the three days at the next seminar and my colleague Chris Rowell will be doing a section on marketing, including optimising social media and online presence through blogs and websites. Photo slideshow from the Amsterdam event . . . .